Thanks so much for this website. My uncle W.C. Shaw was the superintendent of New London schools at the time of the explosion. My aunt Hazel Shaw was a teacher at the school. She was away with students at a UIL contest on March 18th. My father, Alf Shaw, ran a hamburger stand at the school and knew most of the kids. Dad would never talk about the explosion, so I'm not sure how he managed to survive. I've heard that he was driving a school bus, and also that he had just stepped out the back for a coke. Three Shaw children were killed that day, Sambo Clifton, Dorothy, and Marvin. Each of my grandfather's brothers lost a child, including W.C., the superintendent. All are buried at Pleasant Hill. 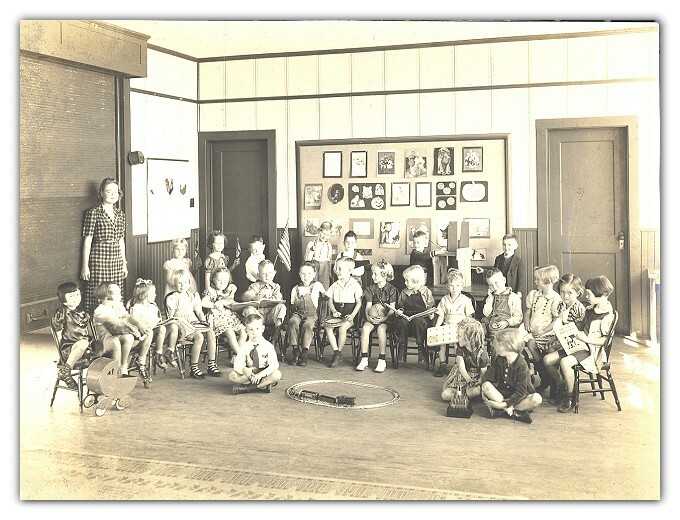 In 1938, my mother, Miss Ann Parish, came to New London to be the new kindergarten teacher. I am attaching a picture of her class. I hope some of her former students or their children are out there and will contact us. Mom is 90 now and still doing well. Also, I have a 1936 Londana, the school yearbook. Would be happy to share pictures with any family members who ask. I have attached my grandfathers story of his involvement in the New London Explosion. He is 95 now, and I wanted to make sure we had captured his story. I grew up listening this story and every year he goes to the ceremony in New London on the anniversary date. He still gets choked up talking about it and at has nightmares of the event. I went this year with to New London on that date, and in the museum there are no stories of rescue workers are pictures of them. I hope at some point these brave gentleman will be recognized for there contributions. I think you have done a wonderful job on your website and if you need any help with the New London information, I would be glad to help in honor of my grandfather. My name is Mike Platton and my mother Mary (Marion) Rebecca (Turner) Platton was in the New London school explosion. I felt compelled to pass on her story. Mary was in the 7th grade at the time of the explosion. Her sister, Minnie Ward (Turner) Williams was across the hall in the 6th grade. Both were on the second floor. Her brother, Tommy Turner, 10th grade, was in shop class on the first floor. Her brother Randal Turner was in the Elementary School. All that mom remembers from that day is sitting at her desk on minute, feeling an explosion and waking up just in time to see a classmate Agnes ? going out the classroom door. Mom got to her feet and jumped out the second floor window and cut her knee. She ran to the Gym, and then down between the Gym and fence to the front of the school. She saw other kids getting on the bus, so she got on, got her sister Minnie and they both went to find their little brother Randal. After finding him they got back on the bus and went home. Her brother Tommy almost had his ear completely severed. He walked from the grounds refusing assistance from rescuers, feeling others needed help worse than he. He walked to Overton and somehow ended up in a Dentists office. The Dentist, name unknown, sewed the ear up and Tommy was taken to Mother Francis Hospital in Tyler where he stayed for about 3 weeks. Mom started having bad headaches for days after the explosion. She remembers a Red Cross Nurse coming to the house. The nurse took her to Dr. Adams. Dr. Adams had her hospitalized at Kilgore Memorial. While in the hospital, Dr. Simmonds (not sure of spelling pronounced sim-unds) discovered that she had been hit in the head and he and Dr. Adams? operated on her. She remembers her roommate, Marie Slater. Mom states that she just never seemed to be able to think very clearly after the school explosion and had trouble concentrating. My mother is currently in a nursing home here in Ohio. She still has all her faculties, but has trouble remembering everything that clearly. She does feel very lucky about the fact that there were three of them in that school and none of them died and that only two of them were injured.